New listingFast Canon EF 85mm F/1.8 Ultrasonic Lens . Excellent. Canon EF mount for all Canon EOS film and digital SLR's. Lens no. 6600469D. 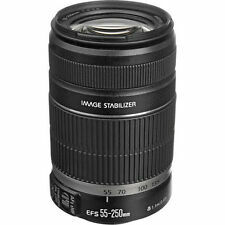 5 out of 5 stars - Fast Canon EF 85mm F/1.8 Ultrasonic Lens . Excellent. 66 product ratings66 product ratings - Fast Canon EF 85mm F/1.8 Ultrasonic Lens . Excellent. The HSM (Hyper Sonic Motor) ensures quiet, fast autofocus, whilst the OS (Optical Stabilizer) allows close-up hand-held shooting. A 9 bladed aperture produces beautiful bokeh in out-of-focus areas. A lens hood is included. D3000,D3100, D3200, D3300, D3400, D5100, D5200, D5300, D7000, D7100, D90, D300 etc. This is a beautiful lens, a great addition to your kit lens. A great budget distance zoom lens. The lens is in amazing condition. 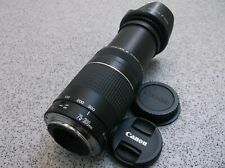 Very Good Condition Canon EF 75-300mm 1:4-5.6 III Lens. EOS5, EOS3. Perfect for all EOS Canon Digital and Film SLRs and will fit all models-. EOS A2, rebel, XSI, XTI, 350D, 450D, 10D, 20D, 30D, 50D, 5D, 7D, 70D, 100D, 400D, 550D, 600D, 750D, 1000D, 1100D, 1200D, 1300D. Canon Zoom EF 24-105mm F4L IS USM Lens . In fully working, excellent Condition. No obvious marks or scratches.Recently serviced and new power diaphragm assembly fitted. F1.8 large aperture,virtual background, which makes photography with more fun. Minimum aperture: f/22. Support auto focus and manual focus mode. Adopts high quality plastic as external structure, the overall weight is only 120g,which is convenient for outdoor shooting. Canon EF 50mm F/1.8 STM Lens. An affordable, high quality lens that's perfect for creative portraits and low-light photos. Blur backgrounds to make your subject stand out, and enjoy smooth near-silent STM focusing when shooting movies. 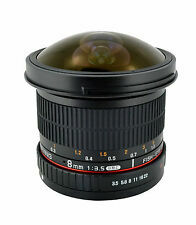 Canon EF-S 10-18mm F4.5-5.6 IS STM Lens. This lens is in excellent condition throughout and full working order with no faults. The lens exposes correctly through the F stop range and there are no issues / faults with the lens. Adopts high quality plastic as external structure, the overall weight is only 120g,which is convenient for outdoor shooting. Item weight: 120g / 4.21oz. Angle range: Diagonal-46°; Vertical-27°; Level-40°. Canon EF lenses will work on all Canon EOS bodies. This Lens for all canon - EF. Perfect for all EOS Canon Digital and Film SLRs. This high quality zoom lens features multi-coated optics, 58mm front filter size. TOKINA 11-16mm lens. I have the Canon 16-35mm lens so do not really use this anymore. Tamron 70-300mm F4-5.6 Di LD Lens Specifications 5 x 7cm size, at a maximum magnification ratio of 1:2, ideal for capturing images of flowers, insects and objects of similar size. Minimum Object Distance. You just need to screw this lens in front of your existing lens or adapter. 52mm 0.45X Professional Deluxe High Definition Super Wide Angle Lens. High Definition: PHD Lens reduces glass flare & ghosting caused by reflections. Sigma DG APO Macro 70-300mm 1:4-5.6 APO DG Lens. Canon fit. Sigma DG APO Macro 70-300mm 1:4-5.6 APO DG Lens. Sigma 70-300mm. 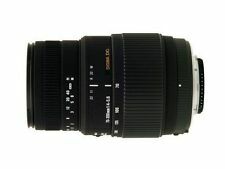 This is the Canon EF 75-300mm F4-5.6 Autofocus Zoom Lens III. Holding the lens up to the light and this lens is very clean and free from any fungus / mould growing inside the lens. We would not class this glass as excellent throughout, as there are very light surface marks on the front optic - literally where the front cap has caught the front glass and created a very light superficial tiny line mark (why we are such advocates of a protect filter). This highly regarded Canon FD mount manual focus wide lens is in excellent condition and is in full working order. The mount is in great condition. The focus is free and smooth. CANON FD 28MM F2.8 WIDE ANGLE LENS. BOXED, NEAR MINT. A Canon FD 28mm f2.8 Wide Angle lens in excellent condition and near mint with maker's box. The lens is in perfect working order with clean glass all through. There are no scratches, haze or Fungus, the focus is smooth and the Iris Blades work perfectly. 5 out of 5 stars - CANON FD 28MM F2.8 WIDE ANGLE LENS. BOXED, NEAR MINT. 1 product rating1 product ratings - CANON FD 28MM F2.8 WIDE ANGLE LENS. BOXED, NEAR MINT. On sale is aProfessional 0.45X Wide Angle Lens with Built-in MACRO lens for close-up shots for Canon EOS 4000D, 2000D using any of the following Lenses Second part is Macro Lens which can be separated or used as part of the wide angle lens to take detailed close up shots of small objects such as coins, flowers, insects etc. Canon EF 50mm F1.8 STM Autofocus Lens Sold With Front & Rear Lens Caps. The lens is in Excellent Condition and in full working order, this is the Canon EF 50mm F1.8 STM Lens. The best value vs image quality you will get with a genuine Canon EF autofocus lens. The auto / manual focus facility is rapid throughout with no hunting or AF loss. 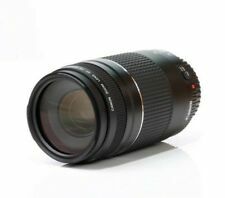 Sigma 105mm F2.8 EX DG OS HSM Lens Specification HSM (Hyper Sonic Motor) provides quiet and high speed AF. This minimizes aberrations which occur as shooting distance changes, and enables stable rendering of the image from infinity to 1:1 magnification. This lens is in excellent condition throughout and full working order with no faults. 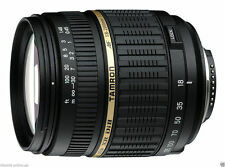 This is the Tamron 18-200mm F3.5-6.3 VC Lens Canon Mount. The 18-200mm f3.5-6.3 Di II VC lens from Tamron with Canon EF fit is a versatile, all-in-one zoom suitable for a wide variety of scenes, including landscape, sport, travel, wildlife, portraits and more. I have a huge passion for gadgets, which is why you will find such great quality electronics for sale here. CANON 18-55MM STM IS LENS FOR SALE. Sigma APO DG 150-500mm F/5-6.3 APO HSM DG OS Lens. Hi there Welcome to my listing for my samyang 85mm 1.4 manual lens, its in good condition, lens cap has a lug missing so doesn't stay on the lens. Glass is clean no fungus ect, no box. The lens has had a viktor lushnikov af chip installed to it which has been pre programmed to this lens. Payment by PayPal only All offers considered, any questions please ask, See my other items Item will be dispatched within 3 days of payment clearing. Final price reduction £120, will not go lower, grab a bargain. 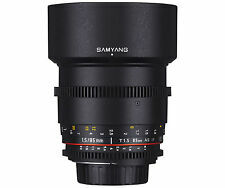 Thanks for looking Samyang 85mm f/1.4 Aspherical IF MC Lens with lushnikov 4th gen chip Canon eos. Condition is Used. Dispatched with Royal Mail 1st Class. This is the Yongnuo YN 50mm F1.8 Autofocus Lens for Canon EF. The lens is in very good condition and in full working order. The auto / manual focus facility is rapid throughout with no hunting or AF loss. 48 product ratings48 product ratings - Canon EF 75-300mm f/4-5.6 III Lens used twice. This high quality zoom lens features multi-coated optics, 58mm front filter size. These are very Unique and Rare Lens. Excellent Condition, the lens has no marks, no hazing, fungus or scratches on it. Superb quality images produced for years. Only moving on as I have moved hobbies of late.